As dawn light falls across the mangrove swamps, the air is balmy and still. “Stop paddling; just let your canoe drift,” the guide whispers. “Stay quiet. Don’t make eye contact with the birds.” Only a few feet away, a flock of roseate spoonbills is breakfasting in the shallow waters of the JN “Ding” Darling National Wildlife Refuge on Sanibel Island. The rising sun highlights the pink plumage of these gorgeous waders; a great blue heron stands, still as a statue; black cormorants and reddish egrets dive for fish. This is a real David Attenborough moment, but just minutes away from a modern condo and a good cup of coffee. Running north to south, just off the mainland, is a string of barrier islands. Some are dotted with hotels and holiday villas; others are conservation areas providing a safe haven for Florida’s varied and abundant wildlife. There are old-fashioned wooden fishing piers and even working shrimp boats. In the past five years, Fort Myers has undergone a facelift. As well as towering palm trees and hibiscus, the exotic blooms of royal poinciana and jacaranda trees brighten the once-sleepy downtown area, where low-rise buildings from a century ago have been spruced up. Now, the revitalised streets are fun to explore on foot, especially on Fridays. The first Friday of the month brings Art Walk, with the evening opening of a dozen galleries and shops. On the third Friday, Music Walk is an excuse for pubs and clubs, restaurants and shops to host live bands. Sanibel offers more than sun, sand and relaxation: this is a destination for conchologists. These shell collectors arrive from around the world, hoping to find rarities such as the junonia, baby’s ear and lion’s paw. Some even go out and search at night with torches strapped to their heads, bent over in what is dubbed the “Sanibel Stoop”. Even amateurs can find souvenirs left by the tide to take home. Scooped up by currents out in the Gulf of Mexico, shells are dumped by the bucketload onto the shore every day. And identifying a buttercup, tulip or jingle is easy; just head for the Bailey-Matthews Shell Museum. As well as its comprehensive collection, it offers beach walks and catamaran cruises with naturalists – a practical biology lesson for children as well as grown-ups. 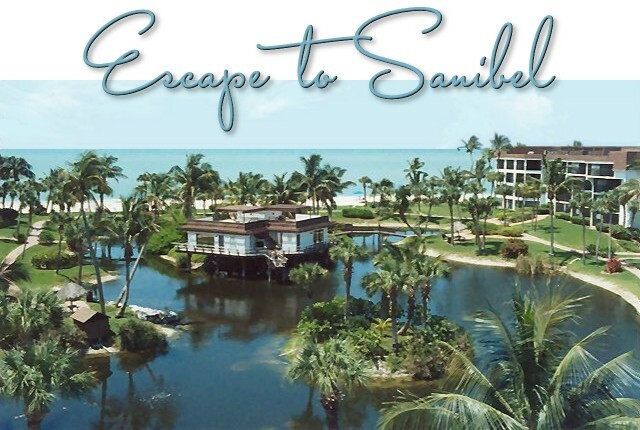 Sanibel is one of a family of islands. Its little sister, Captiva, is just over a bridge and even more away-from-it-all. Only five miles long, it has no through traffic and buildings can be no higher than the tallest palm tree. The road comes to an end at South Seas Island Resort, which offers an encyclopaedia of activities for young and old alike. In this region, winter is high season, with temperatures of 24°C (75°F). But early summer and autumn are also good times to visit. Whatever you choose, be sure to watch the sunsets – and look for the “green flash”. This optical phenomenon is an occasional event, occurring just as the sun drops like a giant orange into the Gulf. Now that you have enjoyed a little sneek peek of Fort Myers and Sanibel Island have you started your bag packing and travel planning to have a magical escape to these amazing Florida spots? See you real soon and hope you have an exciting time here at the sunshine state. Bon Voyage! Travel TIP of the day: Don't forget to make your travel plans in advance to save time and money. We recommend that transportation be reserved well in advance to have your transfers to your final destinations hassle free and right when you need it. For more information about transportation from and to your desired location and to get your FREE QUOTE click here.